Choe Ryong Hae Taken Down a Peg? Choe Ryong Hae has been reduced in rank, moving from Korean People’s Army [KPA] Vice Marshal (ch’asu) to General (taejang). During the 16 December (Sunday) memorial service held to commemorate the first anniversary of the death of DPRK leader Kim Jong Il, Choe delivered a memorial speech on behalf of the KPA. State media coverage of the memorial service revealed that Choe’s shoulder mark (epaulette, shoulder board) had four stars indicating the rank of General. Choe was also introduced at the memorial rally with his general’s rank. During a mass army-people solidarity rally celebrating the launch of the U’nha-3 rocket, on 14 December (Friday), Choe’s shoulder mark had one large star indicating the rank of Vice Marshal. Choe was promoted to Vice Marshal on 7 April 2012, meaning that he held the rank for eight months. Choe serves as Director of the KPA General Political Department (bureau) [GPD], part of the KWP Organization Guidance Department [OGD] which manages personnel decisions and the political lives of KPA officers and service members through a combination of education, indoctrination, cultural activities and surveillance. Choe Ryong Hae’s reduction in rank is the latest alteration to the KPA’s high command. In July 2012, following the dismissal of KPA Chief of General Staff Ri Yong Ho, his replacement Hyon Yong Chol was promoted to Vice Marshal. In September 2012 Hyon’s rank, like Choe’s, was later reduced from Vice Marshal to General. Hyon’s rank reduction was adduced by some Pyongyang watchers to a series of migrations by KPA service members to South Korea in September and October. With Choe and Hyon now at the rank of General, add in Gen. Kim Kyok Sik, presumed to be serving as Minister of the People’s Armed Forces. The KPA’s top three leadership positions are now held by men who all hold equivalent military ranks with Choe heading the political corps, Hyon heading the general staff and conventional service branches, and Kim representing the KPA externally and leading the KPA’s administration, support and logistical services. Until the dismissal of Ri Yong Ho and the dismissal of Kim Jong Gak in November, there was a similar alignment at the rank of Vice Marshal; that power alignment has merely dropped by one rank. The shuffling of the high command’s ranks has not been limited to Choe Ryong Hae and Hyon Yong Chol. During 2012, Vice Chief of the General Staff Choe Pu Il has reportedly been reduced from General to Colonel General and Kim Yong Chol has been reduced in rank from General to Colonel General. Choe is a member of the Korean Workers’ Party [KWP] Political Bureau Presidium (standing committee), Vice Chairman of the KWP Central Military Commission and a member of the DPRK National Defense Commission [NDC]. In 2009 Kim Jong Il selected Choe to head of the GPD, the eventual successor of the ailing VMar Jo Myong Rok (1928-2010). Choe’s selection was tied to the hereditary succession drive on behalf of Kim Jong Un, whom Choe accompanied on a series of inspections and tours to KPA units from 2009 to 2010. During this time Choe was publicly identified as the Chief Secretary of the KWP North Hwanghae Provincial Committee, made he made a number of photographed, but unreported, public appearances with KJI outside of North Hwanghae Province. On 28 September 2010, Choe was promoted to the rank of KPA General. The promotions list also included KJI’s sister Kim Kyong Hui, another KPA political enforcer Kim Kyong Ok, current Chief of the KPA General Staff Hyon Yong Chol and Vice Chief of the KPA General Staff Choe Pu Il. The promotions list was issued hours prior to the convocation of the 3rd Party Conference at which Choe was elected the KWP Secretary for Military Affairs, an alternate (candidate member) of the KWP Political Bureau and a member of the KWP Central Military Commission. During the 4th Party Conference on 11 April 2012, Choe was elected to the KWP Political Bureau Presidium (standing committee) and Vice Chairman of the KWP Central Military Commission. At the 5th session (plenum) of the 12th Supreme People’s Assembly on 13 April 2012 Choe was elected to the NDC. Choe Ryong Hae’s rapid rise through the KPA ranks and into the military’s high command in 2012 has been a hot topic for Pyongyang watchers. 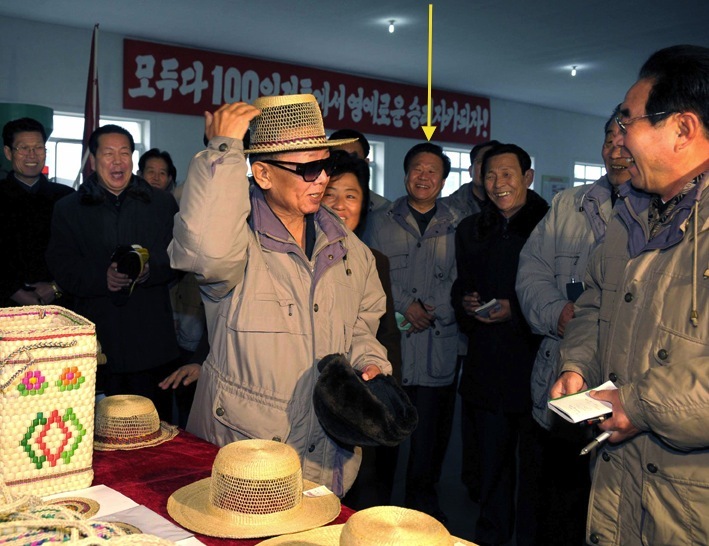 Despite the fact that he is the son of revolutionary hero and former defense minister Choe Hyon (who served in Kim Il Sung’s guerilla unit) and that he joined the KPA in 1967 under the DPRK’s mandatory conscription policy, much of Choe’s official career was spent in various KWP management positions, primarily in the Kim Il Sung Youth League (Kim Il Sung Socialist Youth League). Numerous Pyongyang watchers have contended that Choe’s career experience in the party was insufficient criteria for his appointment to the KPA General Political Department (bureau). Also cited was Choe’s lack of extensive military experience because he never had to shiver during chilly night time patrols or portion out meagre rations to subordinates during the Arduous March, had not engaged in any NLL skirmishes or was too young to serve in the Korean (Fatherland Liberation) War. After all, what hardened field commander is going to defer to, let alone salute, the party’s princeling political appointee? Some of this analysis, however, forgot or ignored that the Kim Il Sung Youth League (of which Choe was the leading official for 12 years) organizes, recruits and implements the training schedule of the Young Red Guards [YRG], one of the KPA’s paramilitary reserve training units. YRG and youth league members during Choe’s tenure from 1986 to 1998 who went on to join the KPA’s officers’ corps could not have done so without a good reference or sufficient background in their profiles from the youth league Choe once led. Some Pyongyang watchers might interpret Choe Ryong Hae’s reduction in rank as symptomatic of a malady of instability at the power center (this perspective, BTW, is typically based on a study about the country’s collapse conducted in the 1990s). Instead, it appears to be a resettlement (reset policy?) of the KPA’s command ranks following the transition from Kim Jong Il (at whose behest Choe was elevated) to Kim Jong Un. The transitional kinks have been ironed out. One successful projectile later and perhaps it is no longer necessary for senior officials to be pull rank on one another. Here is a biography of Choe Ryong Hae, as of April 2012. Are there any Vice Marshals left in active-duty positions or has the rank become an honorific for retirees? Unless there was some recent movement, the only active Vice Marshals currently are Kim Yong Chun (Director of the Party Civil Defense Department) and Hyon Chol Hae (1st Vice Minister of the People’s Armed Forces and Director of the KPA General Logistics Department). It’s generally been more of an honorific rank than a formal military title–there are numerous occasions in which a Vice Marshal had to salute a General because that General’s daily responsibilities (i.e. his day job) were more substantive and powerful than the Vice Marshal’s. This generally applied to MPAF officials saluting Gen. Kim Myo’ng-kuk. As Director of the General Staff’s Operations Bureau, Gen. Kim was the conduit between the KPA Supreme Command and the KPA’s conventional forces (i.e., corps command). The rank of Vice Marshal is a bit of the KPA’s iron ceiling because there is no possibility of further advancement, except to be given the title Marshal (currently held by KJU, Ri U’l-so’l and Kim Ch’o’l-man). In the case of Ch’oe Ryong Hae, it may have been a temporary advancement during the transition from KJI to KJU. This entry was posted on 12/16/2012 by nkleadershipwatch in 2012 KPA promotions, Administration Department, Central Committee, Central Military Committee, Choe Ryong Hae, corps command, Fourth Party Conference, Gen. Hyon Yong Chol, Gen. Kim Kyok Sik, Gen. Kim Yong Chol, gsd, Guard Command, Kim Chong-un inspections, Kim Il Sung Youth League, Kim Jong Un Visits, Kim Jong-il, Kim Jong-un, Kim Kyong Ok (OGD), kisyl, KJI Memorial Events 2012, KJI Personal Secretariat, KKH, Korean People's Army (KPA), Korean People's Army Supreme Command, Korean Workers' Party (KWP), KPA General Political Bureau, KPA General Political Department, KPA General Staff, Ministry of the People's Armed Forces (MPAF), MPAF GPB, National Defense Commission (NDC), NDC Administration Department, North Korean press, O Kuk Ryol, O Kuk-yol, Organization and Guidance Department, party life, Political Bureau, Reconnaissance Bureau, reserve training units, Ri Yong Ho (GSD), Secretariat, succession, Third Party Conference, VMar Kim Jong Gak, Young Red Guard.